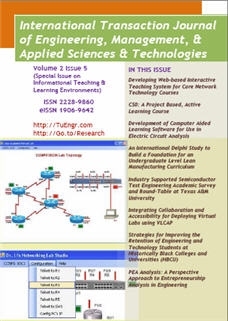 This special issue published selected articles accepted and presented at IAJC-ASEE International Joint Conference on Engineering and Related Technologies sponsored by IAJC, ASEE, IEEE, venue at University of Hartford, USA during April 29-30, 2011. This paper presents an in-house created software application that emulates and virtualizes computer networking laboratory hardware and proprietary equipment on PCs and servers. A user friendly remote laboratory manage system is developed using .NET technology. Through the presented lab management system, the students are able to conduct more than 200 lab assignments covering 10 courses from both lower level routing and switching classes to upper level network management and security classes that demand a large amount of physical equipment and a great number of student lab contact hours prior to the emulated lab. This emulation solution eliminates our dependencies on expensive proprietary networking equipment. It also reduces the burden of system administration. This remote lab has been used and tested in three networking courses. The feedbacks show that the lab delivers similar or better lab experiences for the DE students while the lab construction and maintenance cost is reduced to the minimum. The recruitment and retention of students in early computer programming classes has been the focus of many Computer Science and Informatics programs. This paper describes an initiative underway at Indiana University South Bend to improve the retention rate in computer science and informatics. The approach described in this work is inspired by the SCALE-UP project, and describes the design and implementation of an instructor-guided, active learning environment which allows students to gradually acquire the necessary critical thinking, problem solving, and programming skills required for success in computer science and informatics. Presently, instructors are required to teach more students with the same resources, thereby reducing the amount of time instructors have with their students. Because of this, examples may be omitted to be able to make it through all of the required material. This can be problematic with electric circuit analysis courses and other courses used as prerequisites. A lack of understanding in these classes will likely continue in future classes. While software is often used in these classes, often it is analysis software not meant to teach concepts. Teaching software does exist, but may have only a preset number of problems or only provide the solution. Others provide a ‘limitless’ number of problems by changing component values, but each ends up being the same basic problem. This paper introduces new learning software that addresses these shortcomings. The software provides a practically limitless number of problems by varying component values and circuit structure. Moreover, it provides both an answer and an explanation. Finally, it is designed so that students who need more help can get it, while those who do not can move on. This paper is based on research that was conducted to identify and validate the competency areas included in the body of knowledge developed by a consortium of the Society of Manufacturing Engineers (SME), the Association for Manufacturing Excellence (AME), and the Shingo Prize for three levels of certification examinations in lean manufacturing, namely Bronze, Silver, and Gold. The focus of the paper is to delineate the results obtained from the Bronze level certification exam that can be applied to lay a foundation for developing an undergraduate-level curriculum in lean manufacturing. A modified Delphi technique that included a pre-Delphi round followed with three rounds of Delphi questionnaire iterations was used in the study. Seventy-six experts, from six different countries, selected to serve on the Delphi panel rated the importance of competency areas for testing at each level of lean certification using a 5-point Likert scale and provided additional comments. A convergence of opinion on the competency areas provided a basis for validating the body of knowledge. Forty-two prioritized competency areas that emerged from the study were grouped into five major domains: (a) Enablers for Lean, (b) Lean Core Operations, (c) Business Core Operations – Support Functions, (d) Quality, Cost and Delivery Measures, and (e) Business Results. This paper describes the research and process involved in validating the academic relevance of a University level curriculum in Semiconductor Test. Texas A&M University Electronics Engineering Technology (EET) Program, within the Dwight Look College of Engineering, has a world class Test lab. This lab, supported by Texas Instruments and Teradyne Inc., has been teaching Mixed Signal test at the undergraduate level for over 12 years. The Lab faculty and staff were interested in the technical relevance of their curriculum and engaged an Industry standards organization to co-sponsor an industry-based survey. SEMI’s Collaboration of Automated Semiconductor Test (CAST) was chosen and agreed. This survey polled engineers, managers, and professionals within the semiconductor industry with Test Engineering questions, which revealed specific feedback on what they would like college new hires to know before reporting to work. Feedback and results from 144 mostly senior level Industry colleagues are summarized. Retention is a major factor in an institution’s credibility and financial stability. A greater emphasis is being placed on retention and attrition in higher education in the United States. While lack of persistence behavior and withdrawal are problems with all undergraduate students, this is particularly the case for African-American students. The barriers to minority student retention continue to be: the cost of education, isolating campus environments, a lack of peer and faculty engagement, inadequate math and science preparation, heavy work schedule hours versus class preparation. To minimize the impact of this disturbing trend of students not pursuing an engineering or technology degree, a priority must be set to generate student interest in graduation with these degrees. The objectives of this paper are: (1) to define an effective retention program, (2) to discuss general retention strategies, (3) to identify challenges or barriers to overcome a lack of retention of engineering and technology students, (4) to discuss retention strategies used at an HBCU or Southern University (SU), and (5) to provide recommendations for improvement of retention in the College of Engineering at SU. As our technological capabilities increase, engineers have an increasing obligation to address market (societal) needs efficiently and sustainably. Such efficiency and sustainability is derived from entrepreneurial aspects of engineering solutions. Therefore, along with being a proponent of scientific solutions to societal/market needs, engineers also have to be effective entrepreneurs. The effectiveness of an engineering solution is not only measured by its scientific sophistication, but also its usefulness and contribution towards market (societal) needs. However, engineers seldom undertake entrepreneurial thinking whilst developing technology solutions, most efforts being expended on scientific sophistication. This is mainly due to the lack of suitable analysis technique that would enable engineers to undertake such evaluation. In this paper, a quantified perspective based analysis technique for evaluation of entrepreneurial engineering solution is presented called the PEA Analysis method.